Fluoride – dentistry’s magic bullet? Everyone who regularly sees their dentist has no doubt heard “fluoride” being mentioned time and time again. Countless dentists and oral health advocates have sung out praises for this supplement for decades, yet there is still doubt on its efficacy and plenty of incredibly exaggerated claims of bodily harm. So how can we separate fact from fiction, and provide the best information for you and your family? FACT: Fluoride exists naturally in our body and in almost ALL foods – Of course fluoride concentrations are extremely low and insufficient to cause harm in these substances. The same applies to our drinking water from the tap. It naturally contains fluoride ions. Water fluoridation however increases its concentration slightly to approximately 1 part-per-million: think for every million particles there are in water, 1 of them is fluoride. This concentration is still too small to cause harm but beneficial enough to strengthen and harden teeth. In fact the latest studies indicate that anyone who has had a lifetime benefit of drinking fluoridated water has 10% fewer decayed or filled teeth and 30% fewer decayed or filled tooth surfaces. 0-18 months old: clean the teeth present only using tap water twice daily- needs supervision! 18mo-6 years old: clean the teeth present using tap water and a pea-sized amount of specifically children’s toothpaste twice daily- needs supervision! 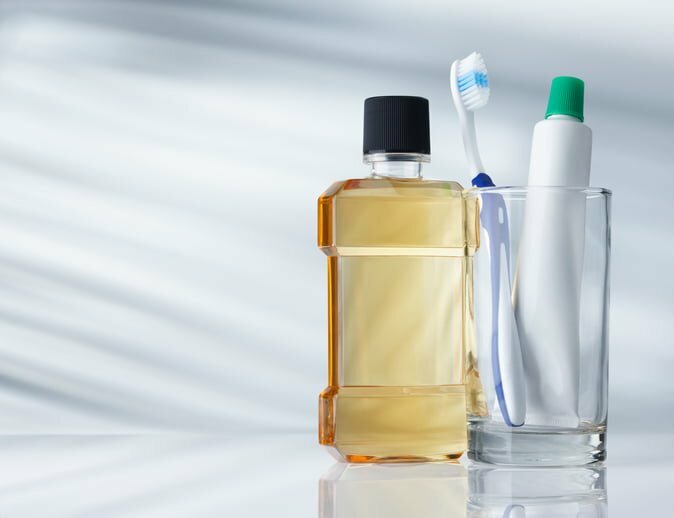 6yo-adult: use adult-strength/regular toothpaste twice daily; use of a mouthwash containing fluoride is additional, but not necessary! FICTION: Fluoride has negative effects on bone health – global scientific research has yet to solidly and satisfactorily conclude that water fluoridation causes specific harm to your bones. In fact while some studies do suggest that excess fluoride can lead to increased risk of hip fracture, others have implied that fluoride in fact improves bone strength! It is however true that excess fluoride intake does lead to skeletal fluorosis – however in these cases environmental factors must be taken into account. For instance the water supply may be close to a mine or just naturally high in fluoride, regardless of additional water fluoridation. These factors are often ignored by the media to promote sensationalism and create intrigue! FICTION: Fluoride can cause cancer – simply not true. The latest scientific reviews simply conclude that there is absolutely no link between fluoride ingested to improve your teeth and the development of cancer. Many anti-fluoridationists claim that the chemicals added to disperse fluoride into our water supply can cause cancer. If taken by themselves, these chemicals may be considered harmful, like ALL chemicals in excess. However, in reality, the concentrations used are incredibly minimal when compared to the amount of water they are being put in, and it has been scientifically concluded that the use of these chemicals has not had ANY measurable impact on a human being throughout his life. FICTION: Fluoride can cause brain impairment, reduce IQ and lead to Downe’s Syndrome and Alzheimer’s Disease – concentrations in regulated fluoridated water and toothpaste are simply too low to achieve any of these symptoms. All the science we have so far point to the fact that there is no link between fluoride and psychological/developmental disorders. As you can see fluoridation is an extremely cost-effective way of reducing caries accross the entire community. As a result it has been considered one of the top 10 public health achievements in the US since 1999 by the Centers for Disease Control and Prevention. If you follow the easy steps I have provided, your entire family can enjoy the preventative benefits fluoride can deliver without significant risk, but please note that regular fluoride is never an excuse not to visit the dentist!